Sleep better when doing shift work or night work? 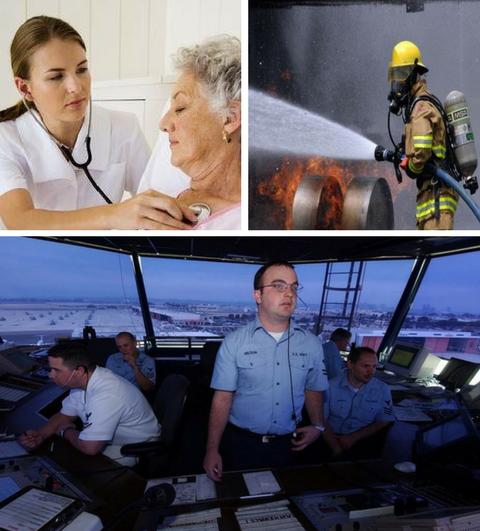 Reduce health problems associated with shift work? Choose the best diet for shift work? Manage family life while doing shift work? Maintain alertness while on shift or driving? You’ll get all the information you need and want in our publication ‘Working ‘Round the Clock: A Survival Guide for Shift and Night Workers.’. Work with your manager, training specialist, human resource or occupational health and safety professional to arrange for the presentation “How to Be a Successful Shift Worker.” To arrange for presentations at your workplace,contact us by email or call 1-866-975-1165. Understands shiftwork hazards, causes & consequences. Lifestyle ensures a healthy mind & body. Views shiftwork as a lifestyle choice. Finds a balance between disadvantages & advantages. Works with, not against, the body. Implements strategies to promote sleep quantity & quality. Implements strategies to reduce fatigue & promote alertness. Implements strategies to reduce stress. Has an adaptable Physiological Profile. Influences work schedule and environment where possible. Gains cooperation of family & friends. Who Can Do Shift and Night Work? If you are doing appropriate self-care but are experiencing problems such as those noted above, you may have a sleep disorder or are not well-adapted to your work schedule. An Assessment may be required to identify the source of your difficulty and recommend the appropriate measures for health and well-being. Are you a Shift-work Family? If you are the family member of a shift worker, you know that the challenges of shift work are not just reserved for the workplace. Yet most spouses and family members are rarely taught how to deal with these challenges. When we do presentations for shift workers, we preface the presentation with instructions to take the presentation handbook home and get it into the hands of family members. This ensures that whatever the shift worker has learned will also be available to the family members. See our publication Working ‘Round the Clock. See also Shiftwise Personal Posters. Employers can provide these to shift workers to take home and share with their families. Employers can also organize a Family Day at the workplace. This allows family members to meet other shift work families and share concerns and coping strategies. Shiftworkers have a greater incidence of marital breakdown. In one group of 13 male shift work employees, 11 were divorced! The two who were still with their long-time partners were considered very much the exception. Everyone in this group understood the major impact shift work has on personal relationships. Though rates of marital breakdown are usually not as high as in this particular group, the rates among shift workers are still higher than the norm. If you have been a shift worker, you are well-aware that it is much more difficult to sustain a relationship with the extra stress of irregular sleep and wake times. Add to this, the fact that even when the shift worker is at home and awake, they may be fatigued and not in the best frame of mind to give energy to their family and partner. The best strategy for maintaining relationships through shift work is to put a premium on learning and practising effective communication skills. It is also very useful for the spouse to learn about shift work and the impact it has on the worker. This will help them to be more empathetic with their partner. To learn more, order ‘Working ‘Round the Clock’ for your family or invite family members to a presentation at your workplace.